Wonder how to get started with Divvy? These tips show you how to create your own automated direct mail using a Divvy portal for your business. When you become a Divvy customer, you’ll receive a portal branded for your business. Franchisors can select the items and designs available to each franchisee. 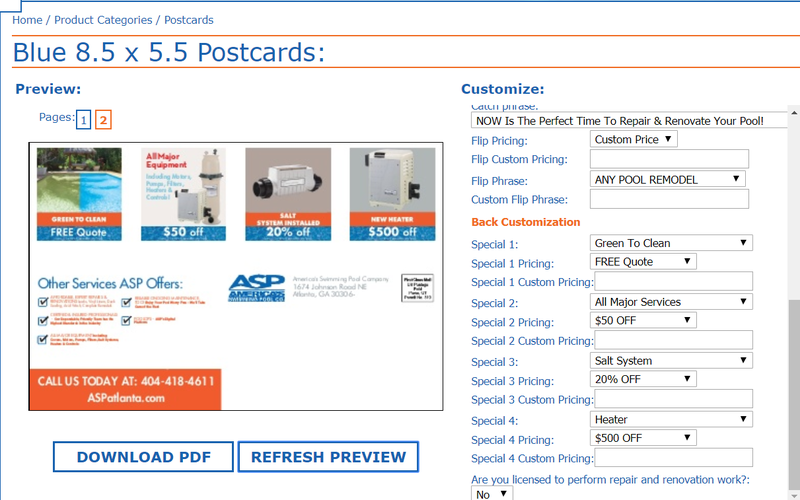 Start creating your automated direct mail when you or your franchisees log into their portals. Depending on what you as the franchisor allow to protect your branding, some products will have full customization and others will not. Some of the customization might include inserting an approved background or an image onto a postcard, both front and back. Franchisees can also fill out the customization for pre-approved promotions. Because of our variable data capabilities, we can auto-fill specific information for each franchise, like phone numbers or websites. This is one of the many ways we can save time and keep your promotions and branding accurate. Divvy offers real-time proofing to help you cut down on errors and save time while planning and creating the elements of your campaign . Online previews allow the owner of each portal to check the design, variable data, and layout of each order piece. We allow you to duplicate previous orders as well! This makes it easy to repeat elements of a campaign or send repeat pieces to recipients. Click Refresh Preview to see your customized changes. Click Page 2 to see the back of the card. Review carefully! Everything will print EXACTLY as it appears in the preview. Move your mouse over the preview to make it larger. 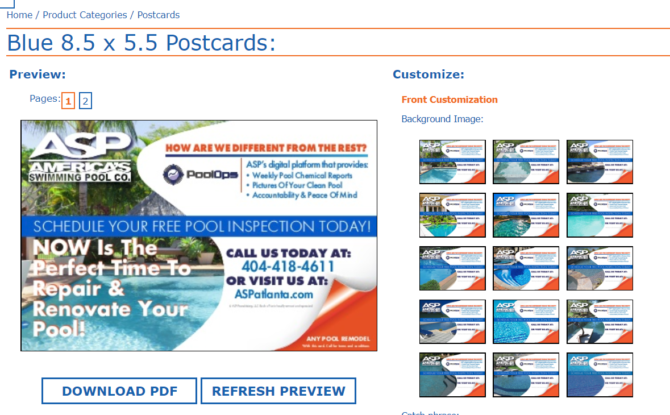 Once your customization and information is exactly where you want it, it’s time to download your PDF and order it. Click Download. Make sure your pop-up blocker is off. Add to your shopping cart and complete the checkout process. This method allows you to reorder at a later date without recreating the card. It will also add the card to your order history for later review. Send your downloaded .PDF and list to your Client Services representative. Include which campaigns use the list and card. You can always send a new pdf and/or list before the deadline for future campaigns if you decide to change something. Got questions about how to use Divvy for your business? Call us today at 801-224-8666 or leave your question in the form below!